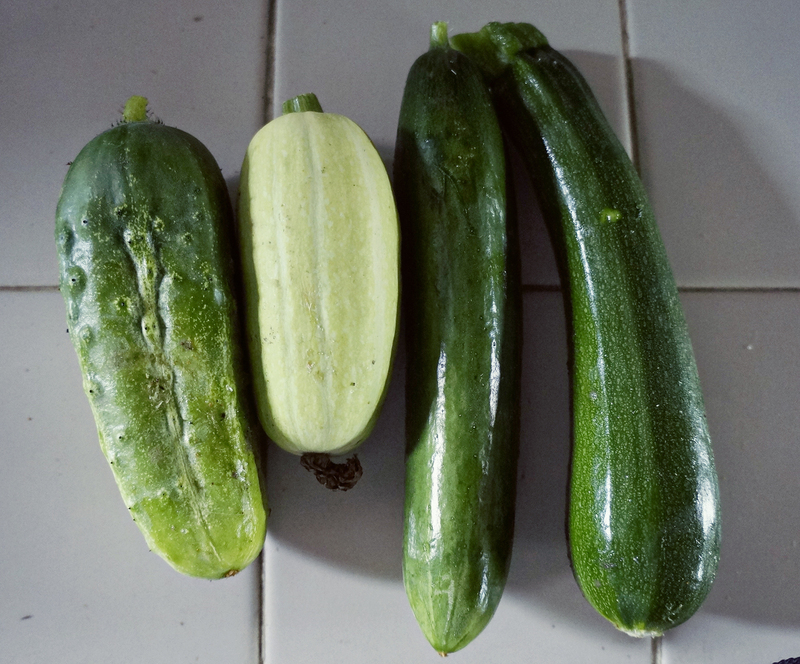 Today: in which I learn the difference between a cucumber and a squash. I woke up this morning and it was pouring rain, so I put on my raincoat and my wellies (secret: my wellies are just rainboots. Rainboots from Target. But here, we pretend they’re wellies.) I don’t know how dirty I was expecting to get, but it got real muddy. In a refreshing sort of way. 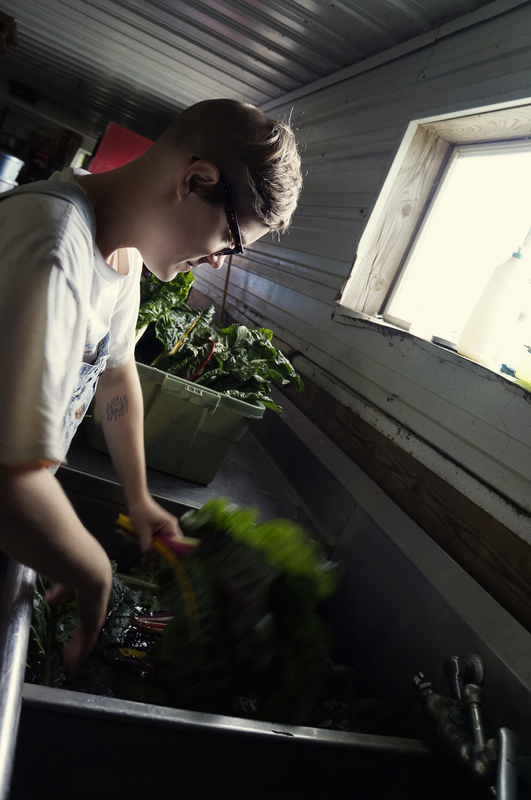 The sort of way when you know it’s your first day of farming and you’re a little neophyte, a little padawan, and everything is exciting to you. That aside, I really enjoyed it. I enjoy instant gratification (for example, my favorite things to knit are hats because they’re quick–I also have three pairs of mittens that I only knit one hand of because I got bored) and activities where you can see the results right away (baking 10-minute cookies, painting postcards, etc). 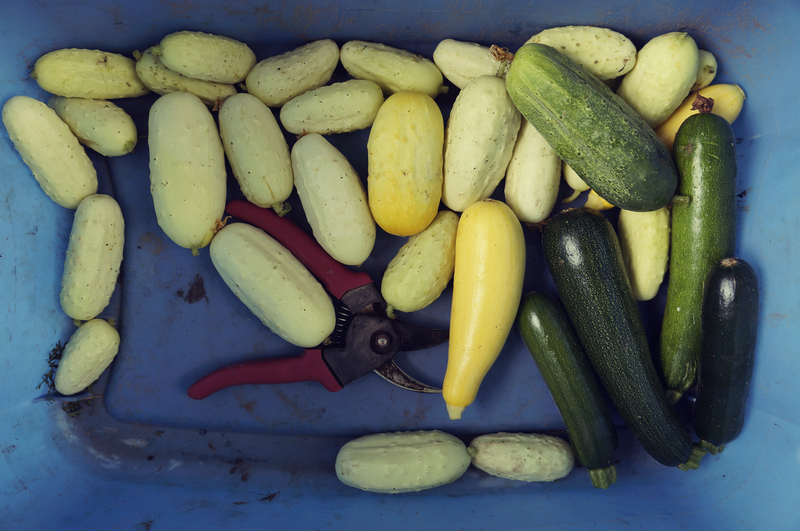 Harvesting is the best of both because you can immediately see the fruits of your labor in your bin and it happens so quickly– you get a summer squash with one snip of your weird spring knife-scissors. And then you get to eat everything you just harvested! 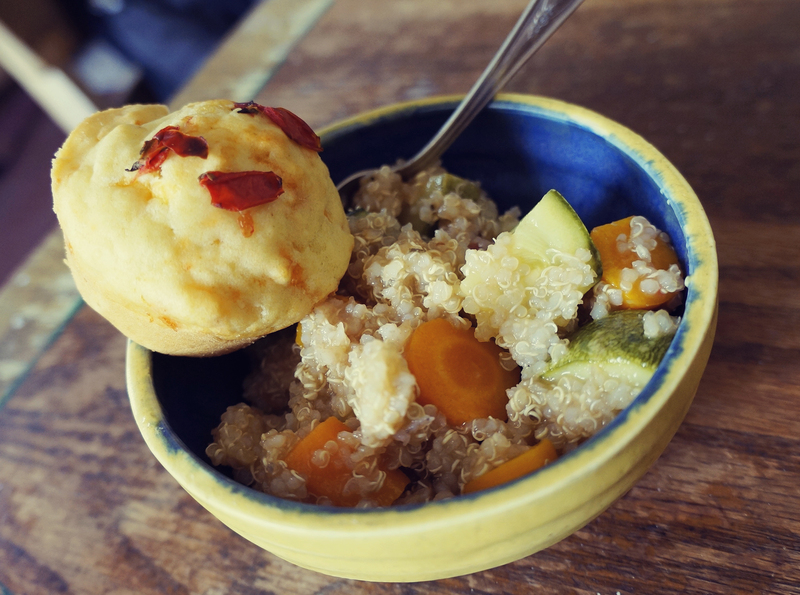 This is quinoa with vegetables. I didn’t flavor it very well, so it doesn’t taste like anything, unfortunately. The muffins turned out better: cheddar muffins with a tomato-oregano topping. I baked those for the weekly potluck we have on Sunday. 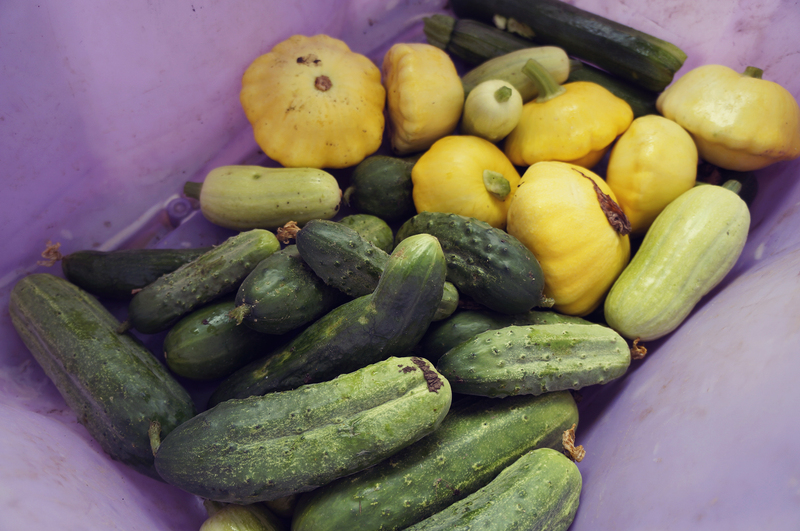 But back to my first day gardening– we harvested zucchini, green cucumbers, white cucumbers, English cucumbers, all sorts of summer squash, kale, Swiss chard (which I embarrassingly asked if was rhubarb on the first day), and kohlrabi (which I just had to Google how to spell). There’s only photos of a few of the vegetables because I put my camera down my muddy shirt for a while, in order to “keep it clean,” but then I just left it by the sinks. 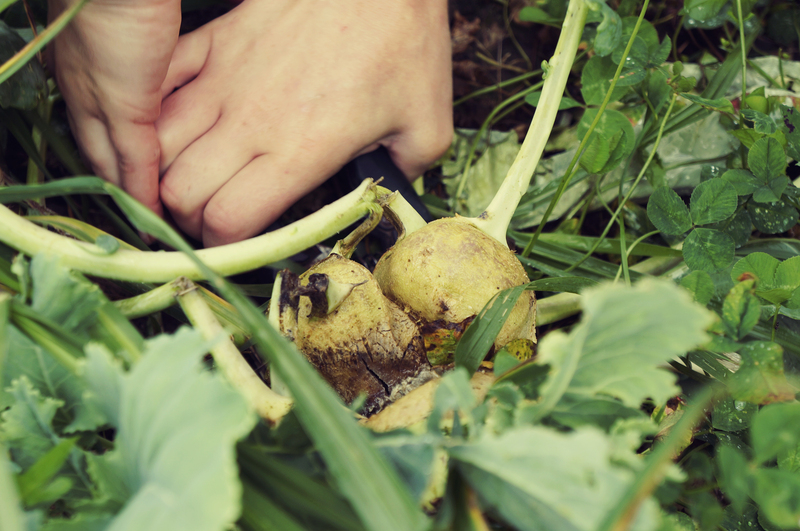 This is a rotten kohlrabi. The good ones don’t look like sad, smushed pears. 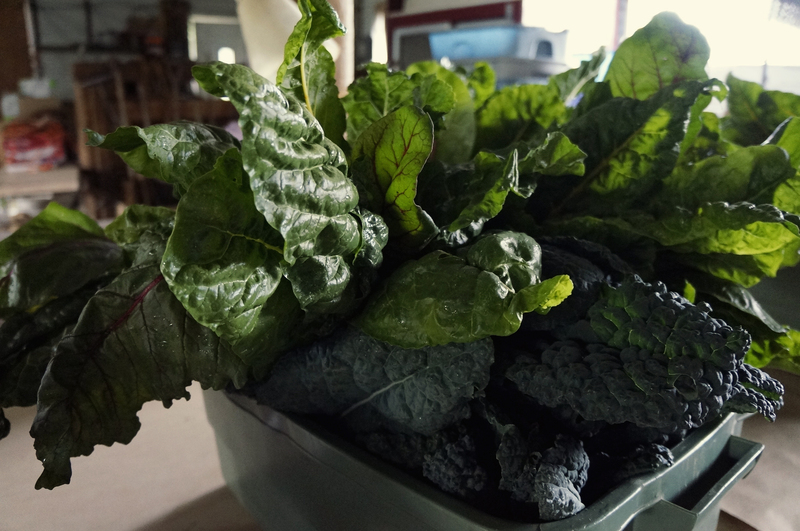 My first bin full of kale and chard. I was so excited. Too bad my right pant leg wouldn’t stay in my boot. 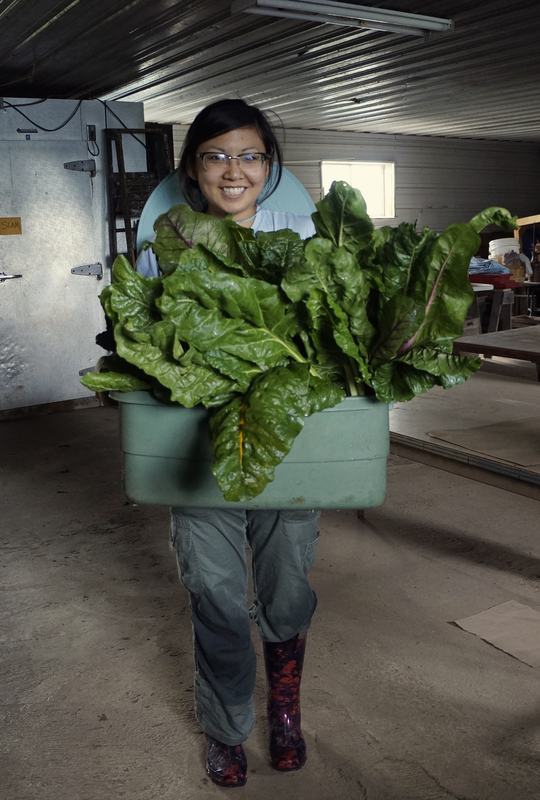 Kim told me that we soak all our greens in water for about 10-15 minutes so that their cores get cold. 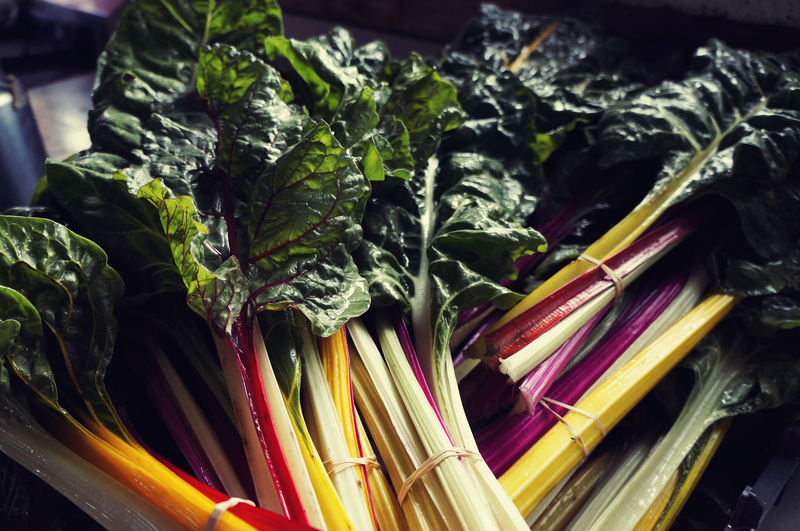 That way, when we refrigerate them later, they won’t wilt. 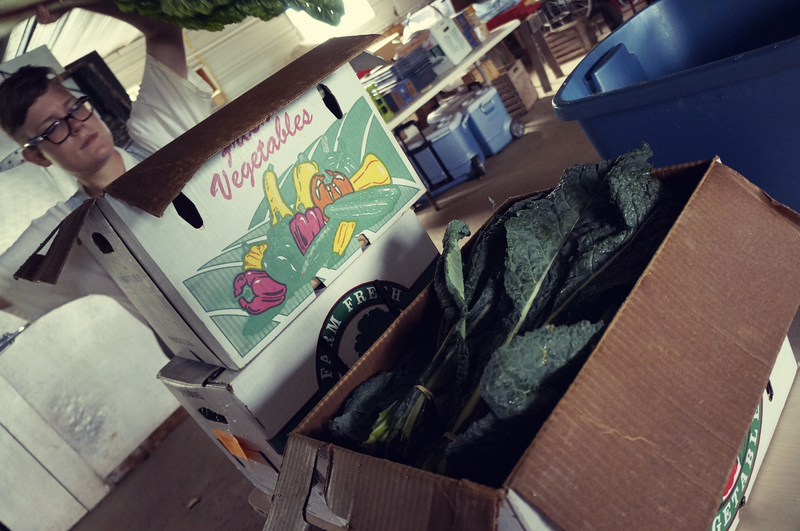 Then we boxed all the greens for the CSA. I picked all those this morning. I only accidentally mutilated one zucchini when I tossed that tool in the bin too hard. Now it will go to the graveyard of my zucchini bread. Now our favorite game: which is a squash and which is a cucumber? If you can figure it out, let me know, because this was an everlasting struggle for me when I was sorting them! Oh, I’m also doing a good bit of writing. I’ll talk about that later, since I was so excited about the vegetables today. Previous PostPrevious Landed at the Wormfarm!